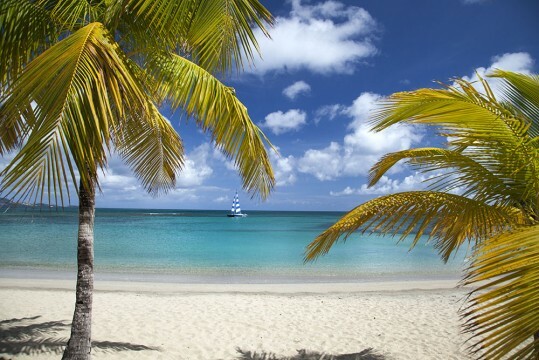 If it’s Tuesday night at The Buccaneer Resort on the island of St. Croix, you’ll find excitement building at the entrance of the resort’s most iconic structure. 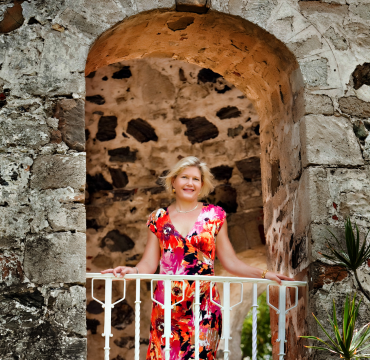 Standing like a beacon at the resort’s highest point is a 17th century sugar mill. Inside the mill is a window-sized lookout that provides jaw-dropping views of the Caribbean Sea. Just before sunset on Tuesdays, guests step into the mill to discover a colorful spread of drinks and hors d’ oeuvres. The sugar mill is the focal point of anticipation during the weekly Manager’s cocktail party. As guests sample sips of wine or punch, all eyes veer to the left as two gigantic newcomers lumber up the hill from the resort’s golf course. 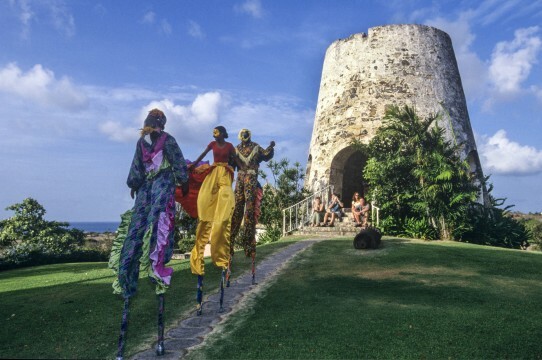 The guests stare wide-eyed as the towering pair bound stiff-legged toward the courtyard in front of the sugar mill. Buccaneer General Manager Elizabeth Armstrong beams as the twosome decked out in silk start grooving to the sounds of Bill Bass’ steel drum music. 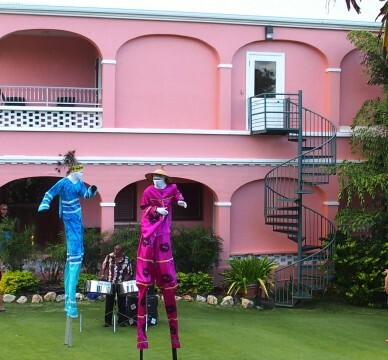 The international mix of resort guests can’t take their eyes off the Moko Jumbie stilt-dancers. As the performers complete their moves, the crowd breaks into applause, and Armstrong smiles approvingly. 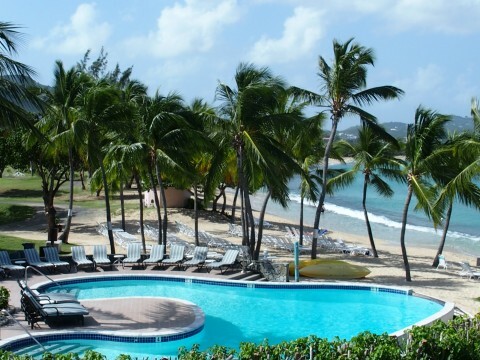 The Tuesday night cocktail party is a tradition and a memory maker for a St. Croix resort that thrives on both. 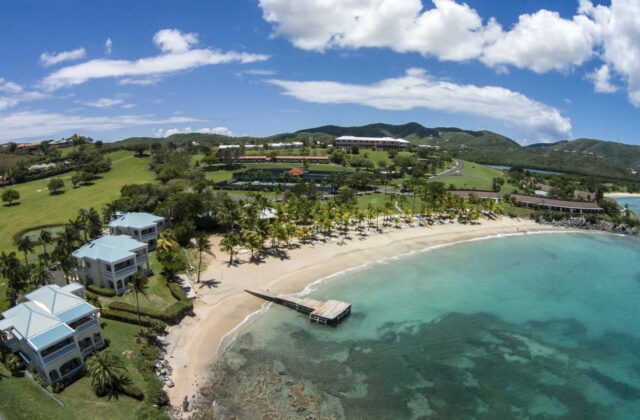 There are few family-owned resorts in the world that have prospered to the extent that St. Croix’s longest-standing and most awarded hotel has. Armstrong confided to a Buccaneer guest that this weekly exchange is not only a memorable social event, it also delivers dividends for her Buccaneer team. “My Grandmother told me long ago that you always need to reach out and listen to guests. Our cocktail party is a great venue for me to do exactly that,” Armstrong said. 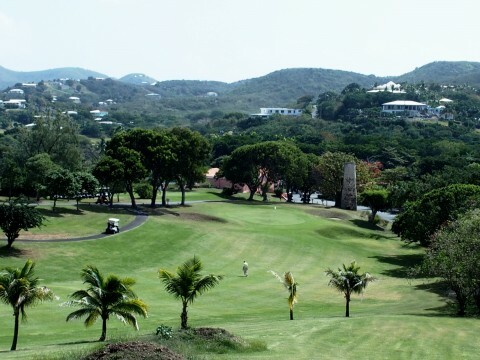 The Buccaneer’s 340-acres are wonderfully positioned atop one of St. Croix’s best vantage points. 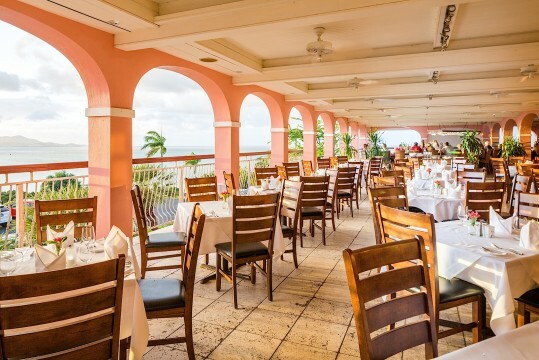 Guests dining at The Buccaneer’s Terrace Restaurant enjoy sweeping views of the Caribbean Sea to the north. 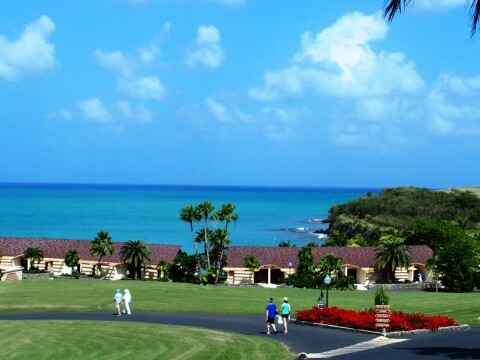 Step outside the hotel lobby and you’re greeted with a panoramic shot of the resort’s 18-hole golf course and the city of Christiansted’s skyline. Armstrong is an always-moving ambassador for St. Croix. Her island goodwill tour begins each morning after parking her car in the lot beneath the fountain gracing the hotel’s entrance. In the 100 paces from her car to the resort front desk, Armstrong is connecting with guests, many of whom have vacationed at The Buccaneer for years. For Armstrong, this is a labor of love. Not only do guests reminisce about their favorite Buccaneer experiences, they also share insights as to how the hotel might improve. You don’t get to be one of the top beach resorts in the world without responding to feedback. If you really want to get Armstrong fired up, ask about her island’s history, marine life, or the resort’s upcoming 70-year anniversary in 2017. What adds spice to The Buccaneer landmark anniversary is the year marks a century since the U.S. purchased St. Croix, St. John, and St. Thomas from Denmark. That’s right, the U.S. purchased the Virgin Islands for the bargain price of $25 million dollars in 1917. The Armstrong family love affair with The Buccaneer is evident everywhere you look at this pristinely maintained and color-splashed property. Whether you’re touring the lobby, three restaurants, three beaches, golf courses, tennis courts, spa, or 138 rooms named after Spanish doubloons, The Buccaneer looks as fresh as a Caribbean sunrise. “I love it when a guest comments about the pride of ownership at our hotel. We have employees who have worked here for decades. We’re committed to our guests experiencing an extraordinary stay,” Armstrong said. After the Moko Jumbie dancers step off their lofty perch, Buccaneer guests move to The Terrace Restaurant for a night of dining that’s surrounded by an 180-degree view of the Caribbean Sea. Imagine quenching your thirst with a Pear Martini, Lemon Drop cocktail, or The Buccaneer’s famous Painkiller. After admiring the view, and relishing your beverage, guests top off their night with delicious entrees like Pepper Breast of Duck, Shrimp Saltimbocca, or Marinated Tenderloin Kabobs.